Welcome to the Big D! They say everything is bigger in Dallas, which is why things can seem a bit overwhelming when you first get here. To make settling in a little bit easier, Dallas New in Town has pulled together an overview of what it’s like to live, work and play in our awesome city. Think of it as sort of a digital welcome packet that contains all the nitty gritty details of what you need to know during your first few weeks and months here. It’s got a personality all its own. Yes, Dallas is located in Texas, but considering the fact that it’s the ninth largest city in the U.S. and third largest in Texas, it should come as no surprise that the area has come to develop its own unique personality and vibe. Sure, there are some stereotypes that hold true (like how much we love football, food and freedom), but try not to be too shocked when you run into societal groups that include jocks, yuppies and hipsters, yet very few actual cowboys. Go figure. The people are super friendly. While the population of Dallasites may be somewhat of a melting pot, the one thing most of us have in common is that, well, we’re good people. We’re hard workers. We love our family and friends (did we mention football and food? ), and we are genuinely nice – even to people we don’t know. So, if someone tips their proverbial ten-gallon hat to you, smile and say hello back. It’s not a trick, we promise. The traffic is brutal. As awesome as the folks are in the Dallas area, the traffic in the city is the polar opposite. If you happen to work in Downtown, for example, you’d better get used to spending time in your car for hours every day. And you don’t have to take our word for it. One study by NerdWallet.com confirmed that “workers in the Dallas-Fort Worth area have longer commute times” and that DFW motorists “waste 45 hours in traffic delays (annually).” As they say, it is what it is. There’s lots to do and see. Given its size and diversity, it’s not shocking to learn that Dallas is chock full of fun things to do, see and experience. You’ll have your pick of awesome neighborhoods, a metric-ton of eateries, a vibrant nightlife, lots of art and culture, plenty of shops to explore, local parks and other natural recreation options – the list literally goes on and on. Suffice it to say that if you were looking for a place where you’ll never be bored again, congratulations – you’ve found it! It’s not all BBQ and Tex-Mex. Don’t get us wrong…those things certainly have their place on the list of Dallas staples, but they’re not the be-all and end-all. Not even close, actually. In fact Dallas and its many neighborhoods are home to a surprisingly eclectic selection of restaurant and menu options. In the mood for Indian food? No problem. Craving traditional French cuisine? Check! How about some baklava, couscous or pad thai? Coming right up! Whether you’re looking for a good, greasy burger or a 5-star fine dining experience, one thing’s for sure – you’ll never go hungry in the Big D.
Mike Rawlings came to Dallas in 1976 with a couple hundred dollars in his​ pocket and plans to work as a radio reporter. He didn’t think he’d stay long. But over the next four decades, Rawlings proved that Dallas is truly a city of opportunity. The Borger, Texas, native worked his way up from an entry-level position at TracyLocke, then the largest advertising agency in the South, to become the CEO. Later, he took the helm of the world’s largest pizza company, Pizza Hut, and grew it to record sales. Mayor Rawlings previously served as Chairman and Managing Partner of private equity firm CIC Partners, where he is currently the Vice Chairman. Public service has long been important to the 1976 Boston College graduate. He previously served as Chair of the Dallas Convention & Visitors Bureau, the city’s Homeless Czar and Park Board President. Mayor Rawlings decided in early 2011 to run for Dallas Mayor on a platform that highlighted southern Dallas as the city’s greatest untapped resource. Following his June 2011 election, he launched GrowSouth, his signature initiative to spur economic development south of the Trinity River. He’s also fought to improve public education, combat poverty, revitalize Fair Park, develop the Trinity River corridor, elevate the city’s international profile and turn our city into a top destination for artists all over the world. He’s drawn headlines across the country for his bold campaign against domestic violence, Dallas Men Against Abuse. He has presided over the passage of $600 million in new city bonds to fund streets, flood protection and economic development initiatives and he has twice led the City Council through the hiring process for a city manager and city attorney. During Mayor Rawlings’ time in office, Dallas has experienced impressive economic growth. Unemployment as of September 2016 had dropped to 4.2 percent. The City of Dallas property tax base in 2016 is $110.3 billion, which is higher than the previous peak in 2009 ($90.5 billion) and represents a 10.4 percent increase over 2015. Mayor Rawlings was re-elected to a second four-year term in May 2015, beating his challenger in all but one of 14 City Council districts. He continues to put Dallas in the national spotlight, in part through his post as an executive committee member for the U.S. Conference of Mayors. Most of the time: HOT. Like, fry-an-egg-on-the-sidewalk hot. Especially in the summer. It should be noted, however, that while incredibly rare, the Dallas area does occasionally see a snowflake or two. And when we do, get ready for the whole city to be in a tizzy. Oh, and we should probably also mention the propensity for thunderstorms and tornadoes as well. But really, despite all of this, Dallas is ridiculously awesome. Dallas and its many underlying neighborhoods are known for their supreme “walkability” – that is, the convenience and proximity of being able to get to wherever you want to go by simply pounding the pavement. Most of the more popular towns and suburbs – like Uptown, Knox-Henderson and Oak Lawn – are laid out so that residents can easily reach any number of local restaurants, bars, stores and even workplaces without ever having to drive anywhere (thank GOD). For those destinations that are a bit too far to reach on foot, the Dallas Area Rapid Transit (DART or D-Link for those in the know) offers 72 miles of light rail and 120 bus routes through all the most popular districts. Be sure to plan accordingly, though, as these routes can sometimes be confusing for newbies. Additionally, the McKinney Avenue Transit Authority runs free vintage trolleys (the M-Line) through the Uptown area. We already mentioned the many fun things to do in and around town, but it’s worth pointing out that Dallas isn’t all bright lights and big city. In fact, Dallas happens home to one of the largest municipal park systems in the entire country, boasting more than 406 parks on 21,000 acres of land. Needless to say, there’s plenty of outdoor adventure to be had, from yoga in Klyde Warren Park to jogging the Katy Trail to paddle boarding on one of the many man-made lakes, you’ll have no problem getting your nature fix. Take the M-Line to Uptown. First of all, it’s free (score!). Second of all, Uptown is a great place to get your feet wet in Dallas. Grab some lunch, have a few cocktails, hit a few local shops. Heck, just find a good spot, pop a squat and do some good old-fashioned people watching. Check out the infamous Dallas Farmer’s Market. You can’t eat out for every meal, so if you’re going to cook, it might as well be with some fresh, local ingredients, right? Oh, and as a bonus, The Market (as the locals call it) has WAY more to do and see than just food. It’s actually a 26,000 square foot hall and artisanal vendor market complete with restaurants and ample seating areas. Yeah…it’s a must. Dine al fresco. With gloriously warm weather, just about every eatery in the Dallas area offers some type of outdoor dining option. Take full advantage of this by spending some time on one of the many area patios (the Katy Trail Ice House, Lee Harvey’s and the Foundry , just to name a few). Brunch, lunch, afternoon cocktails, dinner, evening cocktails….whatever your pleasure. Bonus – if you like to spend time with the furry, four-legged variety of companions, many outdoor seating areas are also dog-friendly. So go ahead…sit. Stay. Take in the nightlife. Whether you fancy yourself the partying kind or you’re more of a laid back, relaxing evening kind of guy or gal, there’s something for everyone in Dallas at night. At the very least, take some time to enjoy the way the city comes alive with bright lights and boundless energy. And if you do find yourself hankering for a nightcap, there are no shortage of pubs, bars and nightclubs where you can get your drink on. Get cultured. From the Dallas Museum of Art to the many galleries along the Bishop Arts District to the zoo, aquarium and countless music and entertainment venues spattered across town, you’ll literally never run out of ways to get your culture fix around here. So, get out there. Start exploring. 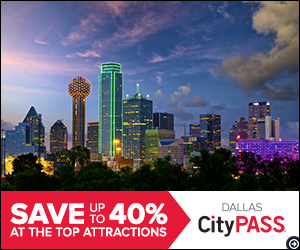 See the sights and experience for yourself why Dallas is one of the best places on earth to live. Oh, and by the way…welcome home!